Sue Cushing is vice president of Enterprise Marketing and Communications for ManTech, with strategic oversight of advertising, digital platforms, media relations, public relations and brand management, internal communications, executive communications, sponsorships and trade shows & special events. 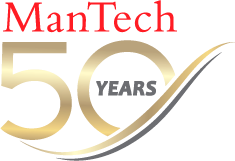 Before joining ManTech, she led Marketing Communications for Raytheon’s NCS business sector, and served as the communications lead for Raytheon’s Public Safety and Security business. Prior to Raytheon, Ms. Cushing was director of communications at BAE Systems, and vice president of communications and marketing at Neustar, where she helped guide the company through a successful IPO. As group vice president of International Communications and Public Affairs at Verizon, Ms. Cushing provided global leadership of the company’s communications functions in Europe, Asia, Canada, and Central and South America. Ms. Cushing earned a Master of Arts in communications from American University, had a fellowship to attend the University of Southern California’s School of Cinema for one year and received a Bachelor of Arts in journalism from California State University-Long Beach. "It’s a given that technology has transformed communications, spawning countless vehicles for reaching and influencing people anywhere, any time. But the most essential element of great communications is timeless and unchanging – the ability to tell a story that inspires audiences, and in the business world makes customers want more!" Ten years ago Ms. Cushing wrote an article for a trade publication on striking the right strategic and tactical balance between offensive and defensive cyber capabilities. A key phrase from the piece, "defense informed by offense," is still gaining currency today. Many of the issues from a decade ago remain. Ms. Cushing serves on the PenFed Foundation’s Advisory Board. The Foundation helps create a pathway for our nation’s defenders to secure a strong future through financial education, credit-building, home ownership and short-term assistance. Sue Cushing is driven to help grow the business by executing big, never-been-done-before ideas with lasting positive impact to a company's brand.